Mom and I had something totally different planned for S for the Blogging from A-Z Challenge but ran out of time. We are sending you this wish instead. 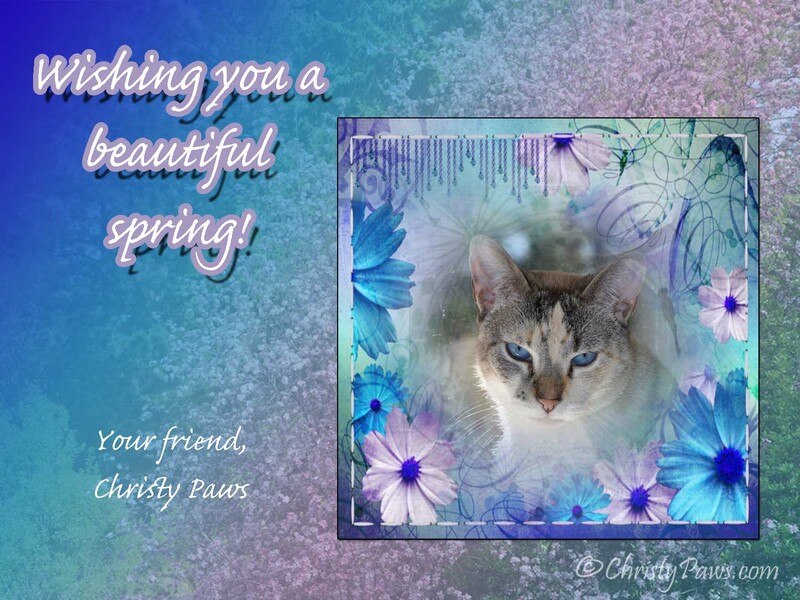 Tagged blog hop, cat, Christy, digital art, Wordless Wednesday. Bookmark the permalink. It’s spring on the calendar, but sometimes it doesn’t feel much like it. Kitties looking out from the inside. Thank you. But for some reason, spring decided to disappear today. We had snow flurries! Oh my gosh. We were a little disappointed that we didn’t get any this year.